It is hard to imagine how memory works in a computer. Somewhere within your device is a hard drive, which somehow takes all of the key strokes, searches, installs, and downloads and quantifies it into data that’s always retrievable. But how does it work? How can a computer record and recall all at once? Using the bare minimum of information, and eliminating anything resembling jargon, let’s break down the hard drive into a common understanding for those of us without computer science degrees. The first, let’s establish what is in a hard drive. If you were to crack open a hard drive you’d see the machinations of a machine mind. You’d see actuators moving read-write arms, circuit boards, and a “platter”, all acting as one to make a hard drive. As the Hard Disk Drive is brought to power, a series of platters begin to spin. These platters are made of materials like glass and aluminum coated in a magnetic material and are then placed onto a spindle. On each platter are various “tracks” made up of magnetically polarized regions set up in concentric lines on the platter surface. These platters are where information is stored with each platter being designated separately and all of the data on those platters are given numbers to identify the data groups. Think of it like an address. The street name is the platter, and the building number is the data group. Using both of those, the data is given clear locations. As these platters spin, an arm with a read-write head undocks from the surface. Supported by the air of the confined space and the spinning platter (spinning at many thousand revolutions per minute), the arm is able to freely move the read-write head mere fractions of inches above the platter surface. The writing portion of the head uses an electrical current to create a magnetic field that reverses its polarity to affect the polarity of the magnetic surface on the platter, creating many regions of positive data and negative data. These positive and negative regions are the basis of Binary Language. Binary is the language of positives and negatives as 1s and 0s that work together to create more complex thoughts. Think of this as the alphabet and language. Letters create words which create sentences. 1s and 0s create lines of code and lines of code become programs, data, and so on. The reading portion of the head senses the variations in polarity on the platter surface and makes sense of them, sending a signal back out. The read-write head is moved on the sliding arm by a mechanical actuator that places the head at various places along the radius of the platter. On each platter, the data is written and read in long, concentric tracks and on the platter surface are many tracks. 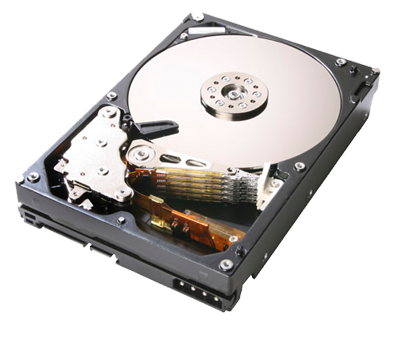 The numbers of tracks on platters and platters in stacks determines the amount of data that can be stored on a hard drive. Thus, the hard drive works by spinning platters at thousands of RPMs, with multiple slider arms and actuators moving read-write heads across various platters and data tracks, and converting signals into magnetized areas all while constantly adapting to the device’s input and output. This is a very simplified version of the overall workings of a hard drive, and if that sounds complicated it’s because it is. A large enough piece of dust or sand can cause catastrophic failure in a hard drive, and to truly understand how these machines work takes a lot of education. 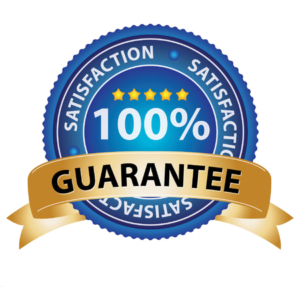 Here at Carolina Data Recovery, we know how difficult the process is and have been helping people retrieve their data for almost 20 years. If you or someone you know has a hard drive fail due to fire damage, fall damage, or even water and flood damage, come on in and let the experts help. You have enough to worry about. Let us take care of your valuable data.